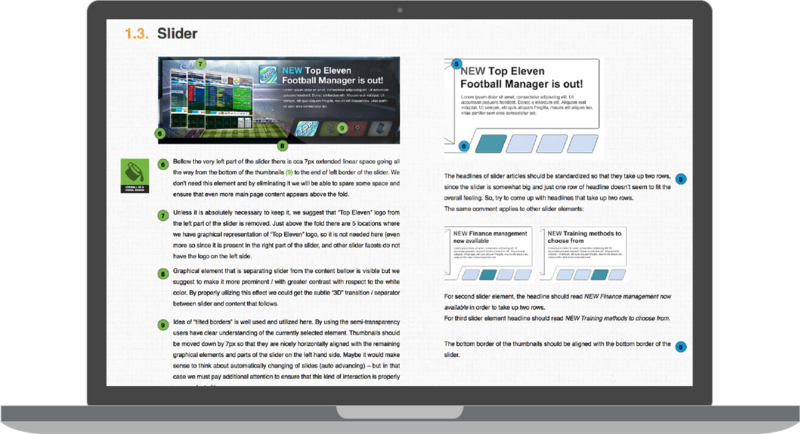 Client: Nordeus is giant-killer gaming company with its Top Eleven football manager game (over 11 million active users). UX Passion is a diligent team for any requirement in Web design, UI and UX. They offer creativity that has been very valuable during a fuzzy phase when requirements are evolving. They understood that our clients are not typical web users. They work with you as if they are part of your organisation – with creativity and technical competency. I strongly recommend UX Passion. 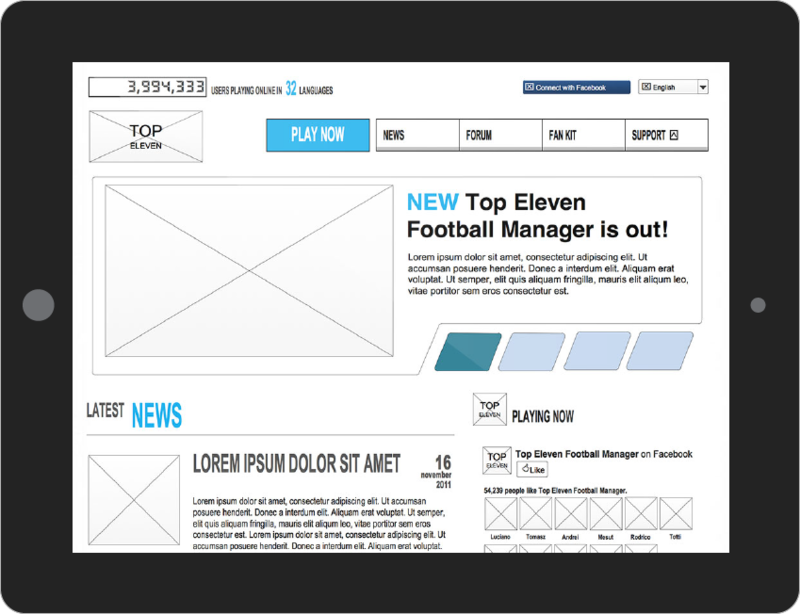 We were asked to help assess new Top Eleven football manager website from the visual design and information architecture point of view as well as to provide them with suggestions and recommendations for improving their widely popular football manager game – Top Eleven. 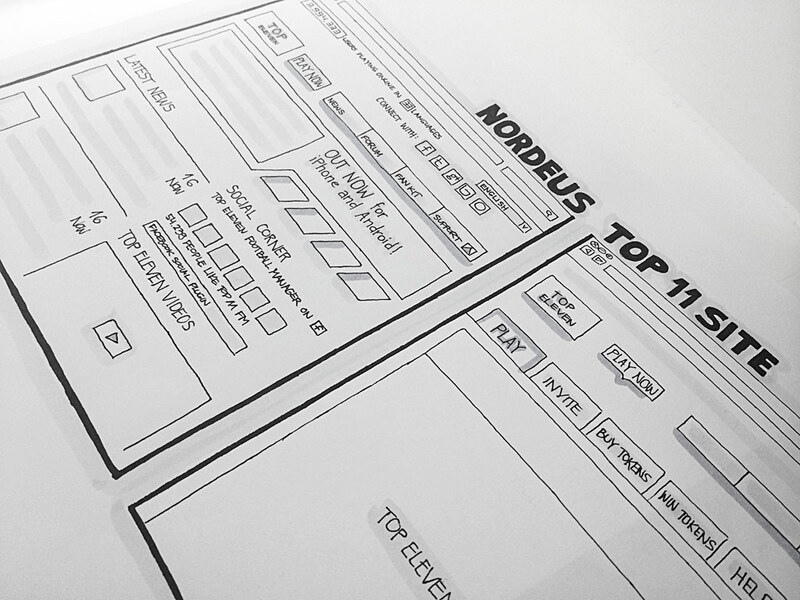 Given that Nordeus wants to provide users with desktop-like social gaming but not exclusively through Facebook, we had to advise on the visual design and information architecture implications of enabling Facebook-like social gaming user interface patterns and media experiences with the potential for expansion of the supported services. An additional requirement was to preserve and communicate the brand values and visual design elements of the game while adapting them for use on the web as well as on mobile devices – both for iOS and Android. We performed a detailed requirements and business needs analysis as well as an analysis of the user’s flow, payment methods, game play approach and all other relevant elements of the social gaming and user experience. The review was performed by our two internal practices – the visual design practice and the information architecture practice. With this combined approach we provided Nordeus with a practical, 360° overview of their planned website and valuable suggestions. All findings were carefully documented and prepared side-by-side in order to effectively communicate the required changes for both visual design and information architecture. Made in the form of an easily-applicable “cookbook”, our documentation was very useful. Our findings were accepted and welcomed by the Nordeus management team and we’ve been assigned to work side-by-side with their internal development and design teams while our suggestions are implemented. We were delighted by their full dedication and support, and our partnership with Nordeus – as with the majority of our clients – was ongoing and developed nicely. 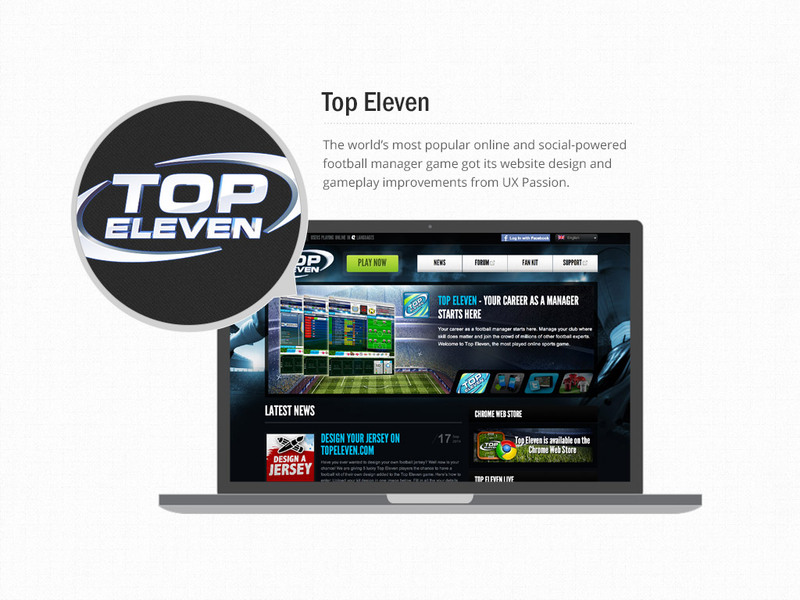 Today we are happy to see how Top Eleven continues to grow and we feel that our meaningful contributions to make a better website, improve gamers’ satisfaction and generally improve user experience of their website is paying off.